I found this one he posted a year or two ago..
Cant you guys just let it rest in pieces. Here is how the Alfa GTA destroyed my g27. 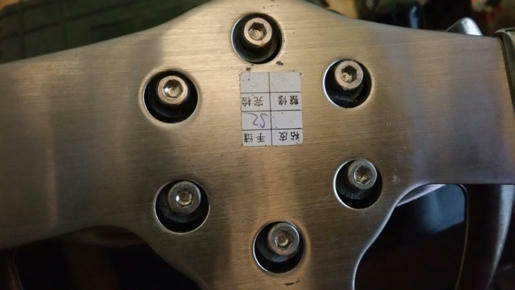 Its actually not major damage as its only the top plate that has actually broken, this goes over the top of the wheel and then the screws go into this and bolt it to the wheel. 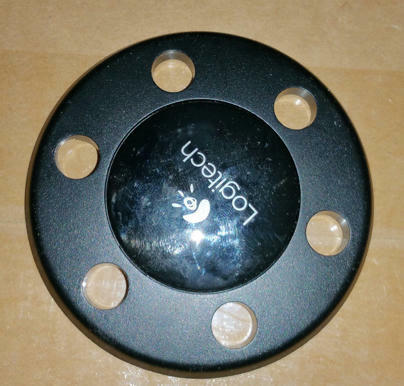 I thought at first it was the point where this attaches inside the hub but its just the top plate has somehow sheered off completely. Marty tried attaching a brick to his wheel as ballast. Was last nite on the gta at blackwood practice server, was just getting the hang of the low powered beast. Still very drifty and lots of fast hands needed to catch the slides until on the last turn while .5 up on my pb catching the slide ripped the wheel off in my hands lol. 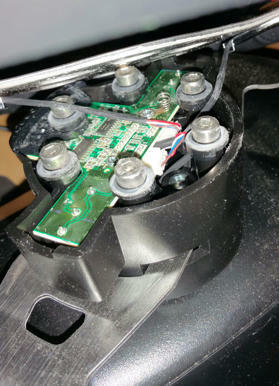 But after seeing how weak this part is id avoid the brick ballast id attached to the wheel. Its a shame as I was enjoying that combo and its been raining non stop in melbourne last few days so tennis seems unlikely tonight. I will take it to the shop this arvo but I doubt they will do a straight replacement. I wont tell them its only a minor piece thats broken at first though just incase. Bit hard to tell what happened by the photos. Especially the Ansel Adams one. 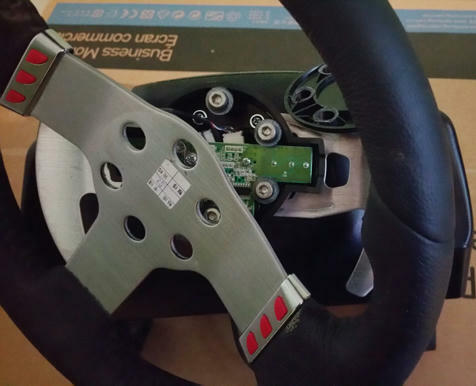 i hope it's not something all G27s do..
Ballast sounds like a good idea..
You see the round plastic cover that goes on the wheel, meant to be there but it isnt. The way this assembles together is it just slots over the top and the screws go through it and thats what bolts it to the base. 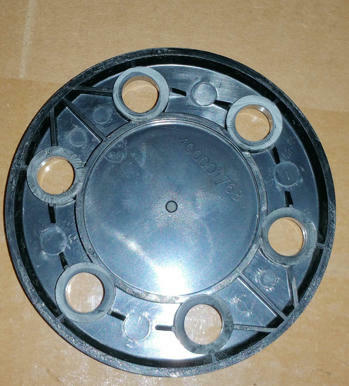 They have a little flange at the bottom and this is all that mounts the wheel to the base. 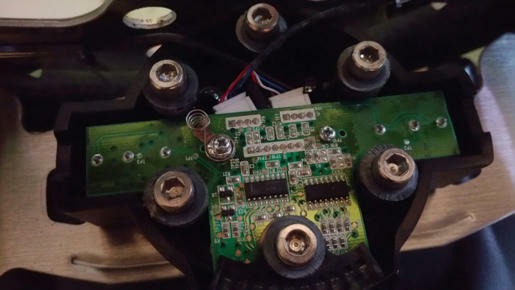 Somehow this has sheered off at each screw mount but if the screws would be taken out and a new top round plate would be used it would be back to normal. So its suprisingly a very flimsy weak cheap piece of plastic and maybe mine had a manufacturing defect that caused this failure. That's what you get for practicing for a Thursday night race! Hope the fix is quick Marty!! I actually base my racing style on Ansel Adam's photography. Marty, or Mary as we know him. Does put in a few 1,000 hours a week of AC. His G27 has had more abuse then his stiff front... if you know what I mean..